Dairy producers' partnership with McDonald's has created "dairy destinations" for the 27 million customers who visit the chain's restaurants every day. THE dairy checkoff, on behalf of dairy producers and importers, is finding increasing success in forming partnerships with influential and globally recognized companies such as McDonald's, Domino's, Quaker, Taco Bell and Pizza Hut to provide consumers with great-tasting and innovative dairy products while creating new demand for the dairy industry. 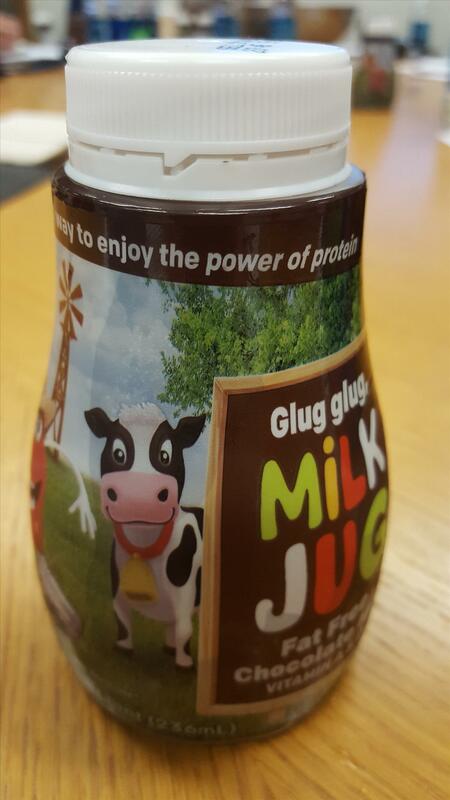 Resealable milk in fun packaging for Happy Meals has resulted in McDonald's fluid milk sales doubling. According to the dairy producer-funded checkoff program known as Dairy Management Inc. (DMI), these partners share common values with the dairy industry, including integrity and industry leadership. They also are focused on joint efforts to work together to expand the reach of nutrient-rich dairy products and ingredients and bring to the table many additional resources in advancing dairy product innovation. Dairy producers' partnership with McDonald's, for instance, has created "dairy destinations" for the more than 27 million customers who visit the chain's restaurants every day. Around 80% of all items on McDonald's menu contain dairy. During a recent media day at McDonald's corporate headquarters in Oak Brook, Ill., DMI and McDonald's joined together to pull back the curtain on their partnership, showcasing the benefits obtained from working together and showing firsthand how the investment in the dairy checkoff is paying dividends for the nation's dairy farmers. The foundation of the partnership is a team of dairy scientists, nutritionists and culinary and sustainability experts who work side by side with McDonald's on behalf of the dairy industry to assist with such things as the development of new dairy-friendly menu offerings. Several years ago, DMI shifted its strategy to partnering with food companies — taking a bold move away from its long-standing, well-recognized and often duplicated "Got Milk" campaign that was aimed directly at consumers. For McDonald's, dairy has been foundational for more than 60 years and is a key ingredient that the quick-service giant continues to use for innovation, creating new products and offerings for customers of all ages. Checkoff expertise has been a significant driver in those efforts, the specific focuses of which are product development, sustainability and nutrition. 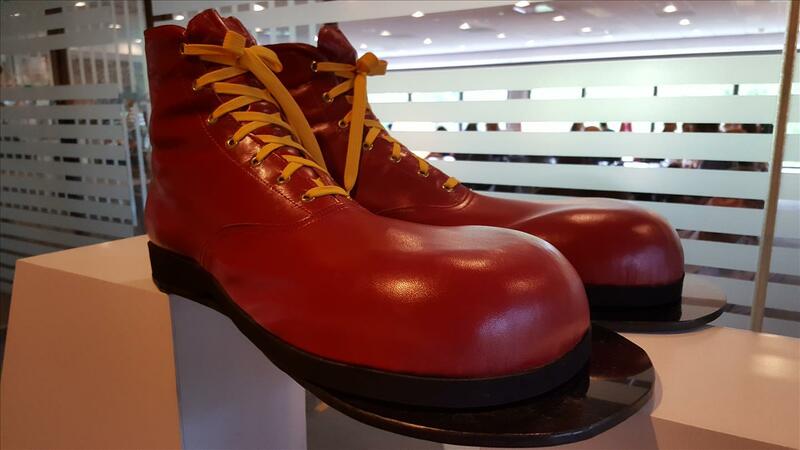 DMI's longest-standing partnership with McDonald's dates back almost a decade. It began with the rollout of milk in a plastic bottle for McDonald's Happy Meals. Since then, the partnership has introduced McCafé, which is an entire line of dairy-based flavored drinks, in addition to mozzarella sticks, buttermilk crispy chicken and breakfast sandwiches with egg whites and cheese. Together, the two also worked through the recent switch from liquid margarine to butter. 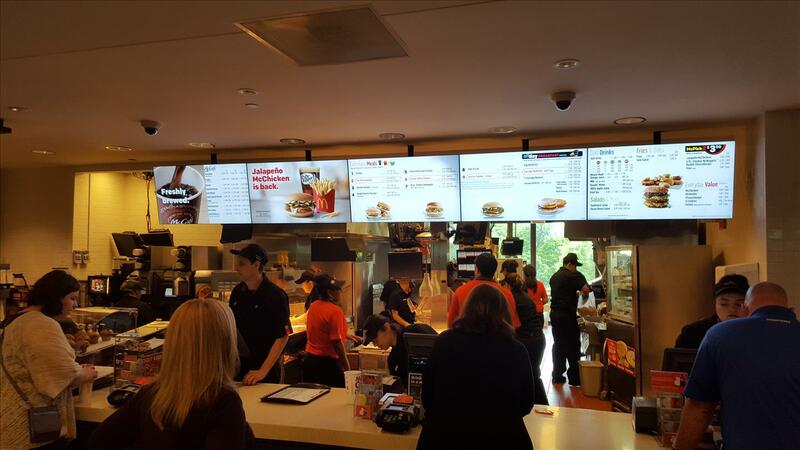 Digital menu boards are one of the innovative ways McDonald's is upping its engagement with customers. The boards allow the company to promote smart choices, including a variety of dairy-based products. Nearly all ingredients on McDonald's menu are proprietary and are not available on retail shelves. The Go-Gurt in the Happy Meal, for instance, is formulated with 25% less sugar than the product available in grocery stores. With that said, considering the size and scope of the McDonald's supply chain, it is no easy task to ramp up new items or menu modifications. When changes are sought to the formulation of, say, the restaurant's soft-serve ice cream, some 16 individual dairies have to be brought along in the process. The McDonald's and DMI partnership is focused on driving dairy sales and building trust in dairy together, said Jacqui Coleman, DMI vice president, global partnerships, McDonald's partnership lead. Since 2009, Coleman said McDonald's is using 14% more dairy, in milk equivalent pounds. Food values have changed, as have consumer perceptions, said Molly Starmann, McDonald's senior director, corporate communications. Today's consumers want food that is "natural, fresh" and "accurately represented," she said. They also want food with a simple label. The things consumers don't want are chemicals and calories, Starmann added. McDonald's is always looking at consumer trends and trying to figure out what plays best with its customers. "We are evolving our menu to make it simpler and to remove artificial colors, flavors and preservatives as much as possible," Starmann said. Replacing soft drinks as the beverage option for Happy Meals has encouraged families to choose milk first, while the addition of reduced-sugar Go-Gurt as a side option has created another smart choice for customers and, in the process, increased the company's commitment to dairy, she said. At this time, organic is really not an issue for McDonald's, and the company's position on genetically modified organisms is that some do have a place in the world. Starmann noted that the majority of the restaurant's sales in the U.S. occur at the drive-thru, so another of the efforts underway is to get more people to come inside to "experience" McDonald's. "It's a great model that works," said Danielle Paris, McDonald's manager of menu innovation — culinary innovation and commercialization team. "DMI provides us with dairy expertise and allows us to move faster." It is what we call a "best-in-class partnership," Paris said.